Students in the Tulalip Construction Training program are building two tiny houses to help the urban homeless population in Seattle. An old, rusty building left over from a time when Quil Ceda Village was the Boeing Test site hides a treasure. You walk inside and you’re surrounded by people hard at work. The sound of drills buzzing, hammers banging and voices raised in a friendly hello. 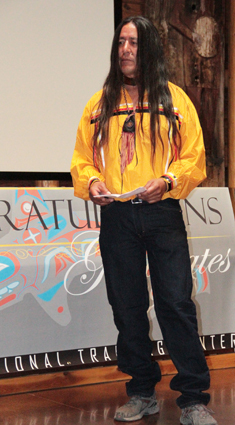 The workers are students of the Tulalip Construction Training program. They each come from a tribal nation, some as far away as South Dakota. Their dreams vary, one wants to build a patio for his son’s grandmother, others want to join a union, or add to their skills for do it yourself projects or to improve their qualifications for work. Currently, they’re building their skills through a “tiny house” project that will assist with a subject near and dear to my heart, homelessness. I have been homeless. Not sleeping on the ground in the rain kind of homeless, but staying at a friend’s house, couch-surfing kind of homeless. I was anxious and depressed. It was the darkest place I’ve ever been in my entire life. I write this with tears in my eyes as I remember striving for some kind of normalcy for my daughter. I was willing to do anything to have a home of my own. I’m on my way to that normal life. 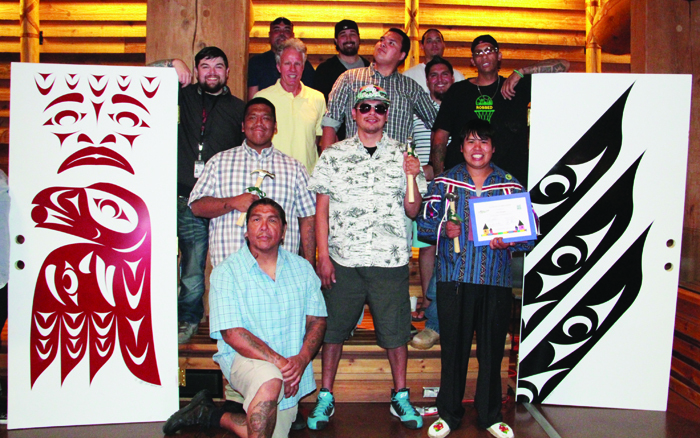 Through the Tiny House Movement, with the help of the Tulalip Tribes, the urban homeless population of Seattle will also have a chance to change their lives. Tiny house encampments evolved out of tent communities. These encampments are increasing in popularity due to the rising cost of housing. Tiny homes generally don’t exceed 500 square feet, and can be easily moved from one location to the next. 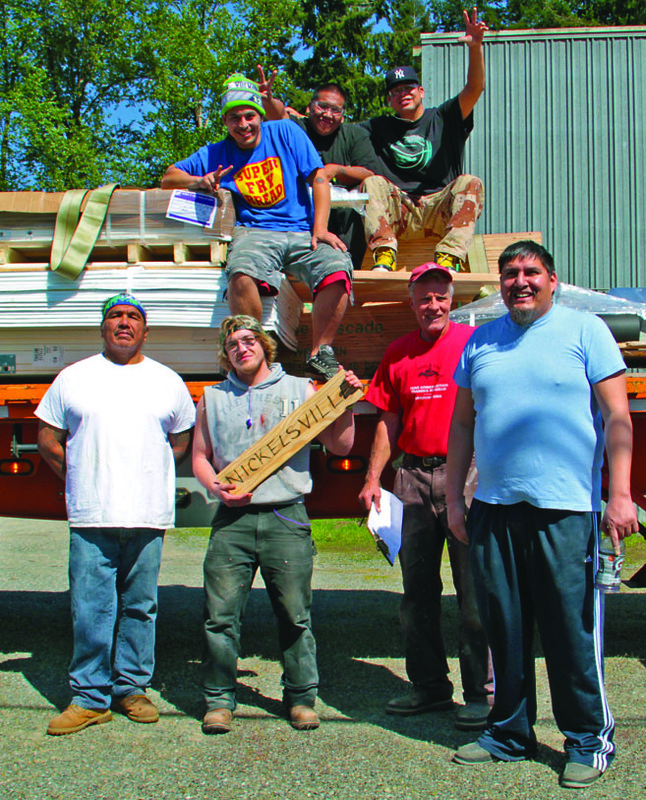 Instructor Mark Newland, and his students of the Tulalip Construction Training program received the housing materials on May 7 and began construction of two approximately 8’ x 12’ Tiny Houses on May 11, 2015. The homes have no amenities, just an open floor plan. However, residents have a roof over their head, a single window, front door with lock, and a single light switch. Each home also features a state of the art fan to control humidity and keep the homes livable during hot weather. Each house will take between five and ten days to construct. The homes are basic, but simply having a locked door and a safe place to sleep is a game changer for many homeless citizens. These houses are being donated to Nickelsville, a homeless encampment in Seattle named after former Seattle Mayor Greg Nickels, in protest to the way he handled the homeless situation. “Making homelessness criminal, that’s kind of the way a lot of towns go. Running people out of town doesn’t settle the problem. It’s not a human solution. Unfortunately we need a lot more [resources] for the homeless than we have, both here on the reservation and elsewhere too,” explained Sandy Tracy, Manager of the Tulalip Homeless Shelter, about the stigma that homelessness carries. Many of those in need don’t receive help because of perceptions about their character, rather than their situation. complete and will be delivered to Nickelsville on June 9. This donation is a great way to remind us of our humanity, that those too are people. It’s a great way to express to another community that we care. Tribal communities experience homelessness but not always to the point of sleeping under underpasses and camping in the woods. Many tribal members are interrelated, or know each other, so there is more couch-surfing homelessness on Tulalip than in the outside communities. Tracy called the tiny house movement a useful tool for the homeless. The dedication to Nickelsville will be Tuesday June 9, 2015 at 1001 S. Dearborn in the International District of Seattle.